The Bellavista Relax Hotel offers you an occasion for a very relaxing and unforgetable holiday in Levico Terme in Trentino. You will appraciate our lovely pool with water heated to 28 degrees, outside Whirlpool and choices of saunas. You can easily reach Venice and wonderfull cities by train. You can also rend E-bikes to live the nature in all its beauty in the mountains or around the lake of Levico. The Bellavista Relax Hotel will make you forget about all this! Trentino means complete relaxation…. Trentino means natural wellness…. Trentino will make you dream…. The best of the Grand Hotel Bellavista, great comfort, ideal for families. It consists of two distinct rooms: a wide living-room with TV-SAT 20’ , and an adjacent bedroom. Basket of fresh fruit on your arrival, one’s favourite newspaper in the morning*, minibar, safe, air-drier, telephone, sponge bath-wrap, sponge slippers, choice of pillows, swimming pool-towel (from middle May to middle September). 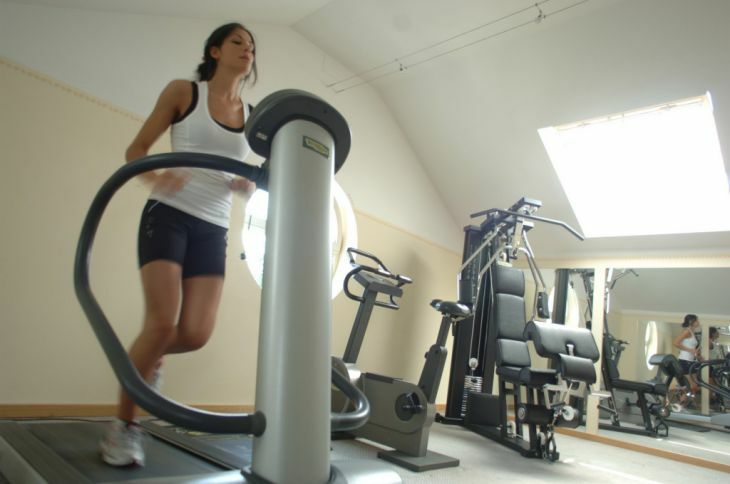 Free use of our sauna & our fitness center, air conditioned. Comfortable room, completely renewed, with TV-SAT 20’ , minibar, safe, air-drier, telephone, sponge bath-wrap, choice of pillows, swimming pool-towel (from middle May to middle September), one’s favourite newspaper in the morning*. Free use of our sauna & our fitness center, air conditioned only in the rooms on the fourth floor (on request). Room with renewed furniture, with basic comforts, TV-SAT, telephone, minibar, safe and air-drier; free use of our fitness center. Excellent lake hotel. Close to the city center with easily acessible parking. Great pool. Bellavista Relax Hotel : The awakening of spring! ...ad all his colours: the yellow of the sun, the blue of the sky, the violet of the first flowers. The best for who loves the relax and the magic of spring! Bellavista Relax Hotel : Trekking in the Valsugana valley! The clear and crisp air that you breathe will make you imagine you are in a paradise! Bellavista Relax Hotel : Frendly water! unforgettable moments to share with those you love in a fairytale setting!